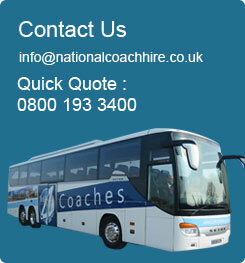 If you’re looking for coach hire in Southampton, or are heading to the south coast from somewhere else, then why not let National Coach Hire organise your trip? We are experts in travel around southern England, and can source the best coach hire quotes in and around the Southampton area. Whether you are visiting the historic port city of Southampton, gateway to the Isle of Wight and launching point of both the Mayflower and the Titanic, or the similarly historic port of Portsmouth, the main harbour for Britain’s Royal Navy and the epicenter of Britain’s naval heritage, coach hire is the best way to appreciate all there is to see. Both cities saw a lot of their history destroyed in World War II and both cities suffered equally from unfortunate post-war architecture. Similarly, both are now undergoing extensive and inspiring renovation, and there has never been a more exciting time to visit. Southampton has become one of the most exciting and vibrant cities in southern England, with wonderful nightlife and restaurants, and a number of popular concert venues. 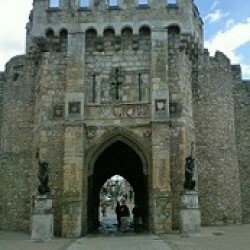 Moreover, there are a number of intriguing attractions to visit, from the famous Old Town to the old city gate, Bargate with its 13th century towers; from the Maritime Museum (telling Southampton’s nautical history including that of the Titanic) to the Southampton City Art Gallery with its permanent collection of 20th century British Art.